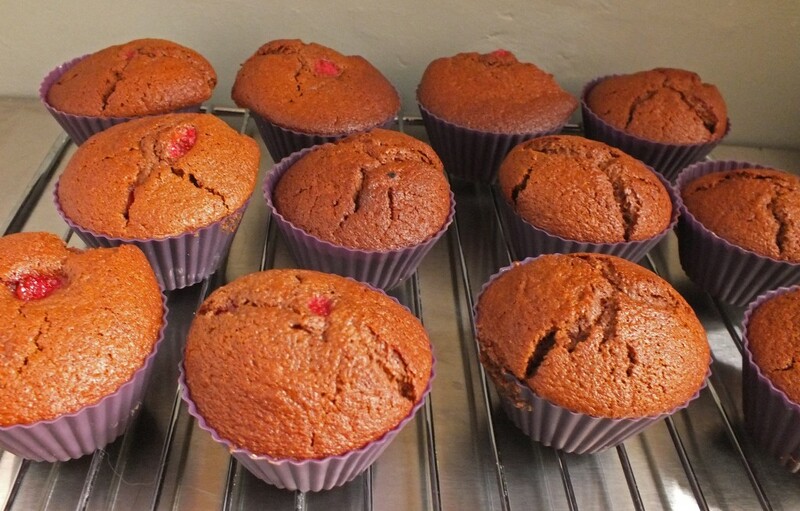 Chocolate and Raspberry Cupcakes – a Virgin Bake! I don’t bake much. Having freshly baked cake in the house is just too much of a temptation for me most of the time. In fact this is my first ever attempt at making cupcakes – the whole cupcake frenzy has just passed me happily by. BUT, I was contacted by Baking Mad and asked if I’d like to try one of their recipes for cakes or muffins. And, I had a bit of whim to make something for Tea Time Treats this month, over at Lavender and Lovage, which is themed on BERRIES. 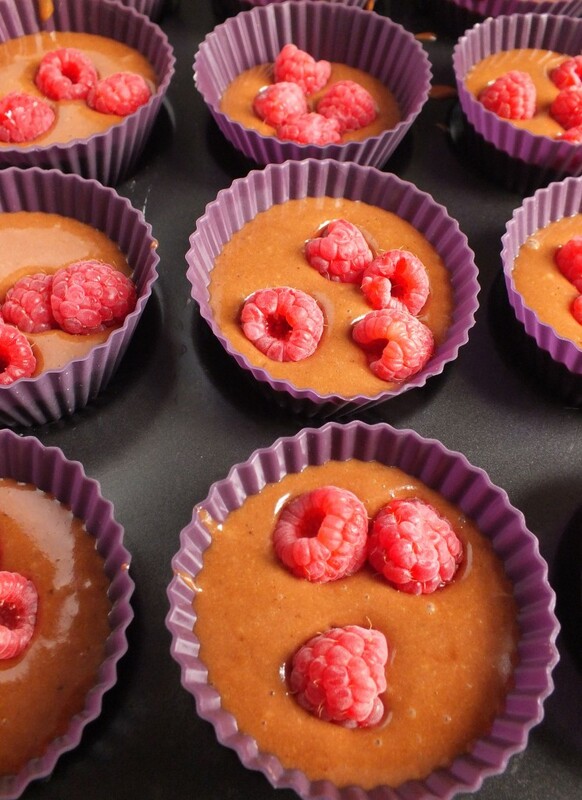 So what could be better than chocolate and raspberries, a combination of flavours which I love in desserts – and why NOT try making cupcakes. 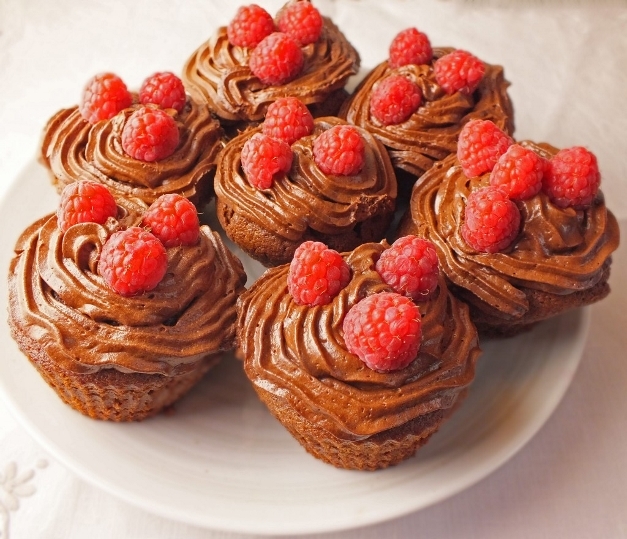 This recipe for Chocolate and Raspberry Cupcakes is by Eric Lanyard from the Baking Mad site and is categorised as ‘easy’ there. So I thought it might be a good one to try. And, it was genuinely quite straightforward, although I have over 200g of raspberries left (I did wonder about the quantities!). You don’t need a mixer to make it, or any other special kitchen equipment. I don’t think it’s a budget recipe, it uses fresh cream and quite a lot of real chocolate rather than cocoa, but the results are impressive. Some of the recipe surprised me a bit, I didn’t expect to end up with such a ‘runny’ batter. In fact I thought I would be creaming sugar and butter, then adding in flour, as my mum did for fairy cakes when I was little. But this was a lot easier to do and the mixture cooked perfectly. 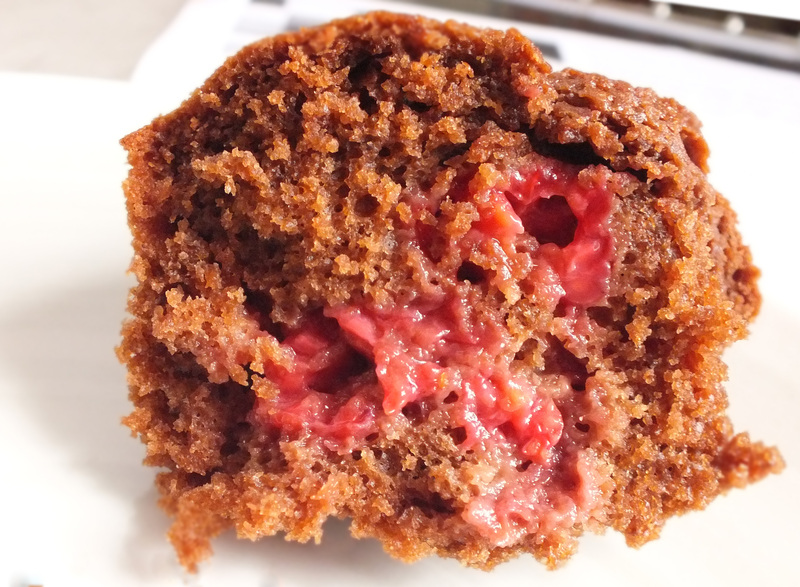 I’ve ended up withwonderfully moist cakes with a gooey raspberry middle. I would have been better sticking with the recommended paper cupcake cases, the silicone ones I used were tricky to remove and I suspect the cakes will dry out a bit faster than they should do. One of them fell apart a bit when I took it out of the case, so I have taken the opportunity to cut it in half and show you how they work. The raspberries cook into the cake but are still there, so when you take a bite you get a mouthful of delicious chocolate and fresh raspberry. I’m not sure how well these will keep – I’ve frozen a few and I’ve got enough to keep me going to for the rest of the week. And, they are cakes that you would normally make for guests – so I don’t suppose they are intended to keep. I even succeeded at making a tolerable attempt at icing these cakes – the chocolate frosting was very simple to make and a great consistency to pipe. And, little raspberries on top hide any errors! All in, this was a good practise run at making cupcakes. Next time I might even try when I am expecting visitors! You’ve excelled yourself Fiona, these look lovely. No excuse not to bake now. Can’t wait to try these cupcakes. Berries and chocolate go together so well! Love that the berries sink in…Great photos!